Mamoru Hosoda’s “Mirai” won in the Best Animated Feature category at the 46th annual Annie Awards program, held Feb. 2 at UCLA’s Royce Hall. “Mirai,” from Japan’s Studio Chizu, was nominated along with “Ce Magnifique Gâteau” (Beast Animation, Vivement Lundi, Pedri Animation), “MFKZ” (Ankama/Studio 4ºC), Ruben Brandt, Collector” (Hungarian National Film Fund), and “Tito and the Birds” (Bits Productions, Split Studio). 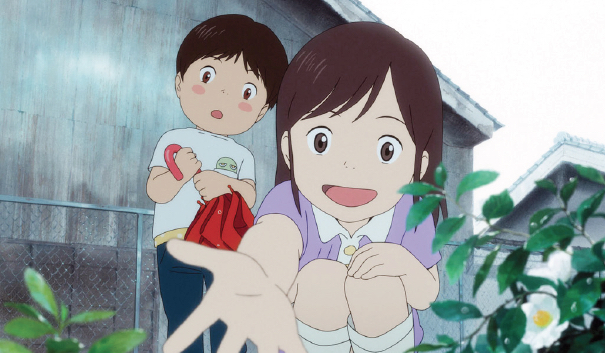 In “Mirai,” 4-year-old Kun is jealous of his newly arrived baby sister, Mirai, but encounters an older version of Mirai from the future, who takes him through time and space to meet relatives from different eras. “This film is modeled after my child. I made the film thinking how great it was to play with small children,” Hosoda said at the ceremony. Hosoda is also known for “Toki wo Kakeru Shojo” or “The Girl Who Leapt Through Time” (2006) and “Bakemono no Ko” or “The Boy and the Beast” (2015). “MFKZ” was co-directed by Shojiro Nishimi from Japan and guillaume “Run” Renard from France. “Mirai” also received a Golden Globe nomination for Best Motion Picture-Animated but lost to Sony’s “Spider-Man: Into the Spider-Verse.” Both films are among the Academy Award nominees for Best Animated Feature. The winner will be announced on Feb. 24. At the Annie Awards, “Mirai” screenwriters Hosoda and Stephanie Sheh were nominated for Outstanding Achievement for Writing in an Animated Feature Production along with Pixar’s “Incredibles 2” (Brad Bird), Disney’s “Ralph Breaks the Internet” (Phil Johnston, Pamela Ribon) and Warner Bros.’ “Teen Titans Go! to the Movies” (Michael Jelenic, Aaron Horvath). The award went to “Spider-Man: Into the Spider-Verse” (Phil Lord, Rodney Rothman). The Annies are presented by ASIFA-Hollywood, also known as the International Animated Film Society. For a complete list of nominees and winners, visit https://annieawards.org/nominees.